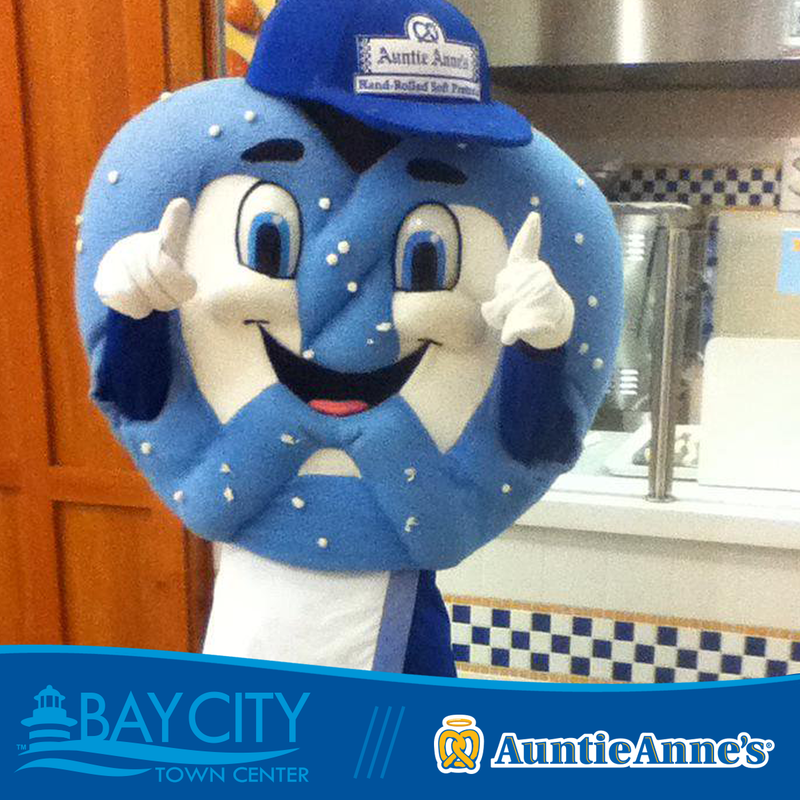 Come meet Twistee from Auntie Anne’s during National Pretzel Day on Friday, April 26. Twistee will be available for photos from 4 – 6 PM. 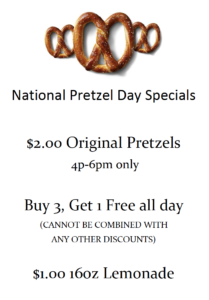 Enjoy coloring, food specials, samples, and a chance to win a pretzel bucket bundle!